very long at the power levels that we are making. 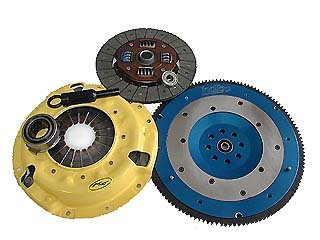 At the track, or on the street, the ACT clutch simply is the best. Available in 9.5 or 11 pound design. 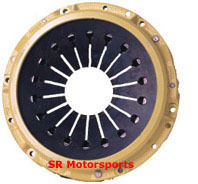 These lightweight 6061 T6 billet SR Motorsports aluminum flywheels are designed to for the street, track or dragrace RX-7.They free up horsepower by reducing power robbing rotating mass. We offer both a 9.5 and 11 pound unit. 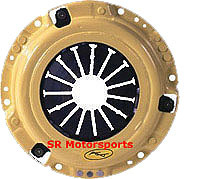 ( The 7 to 8 pound racing flywheels that our competitors offer are too light for a street car ) The stock flywheels are 20-28 pounds! 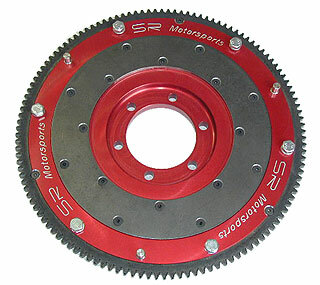 Shifting is quick and sure due to the lightweight aluminum billet design. Longer transmission life can also be expected. The high carbon steel content of the replaceable bolt-on heat shield material helps to absorb heat and reduce the temperature of the mating parts. 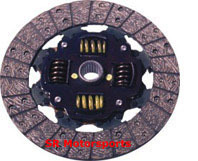 Our application chart lists only those aluminum flywheels used with our ACT clutch kits although we fit many other cars not listed on our chart. If you have any questions regarding applications not listed, consult us.